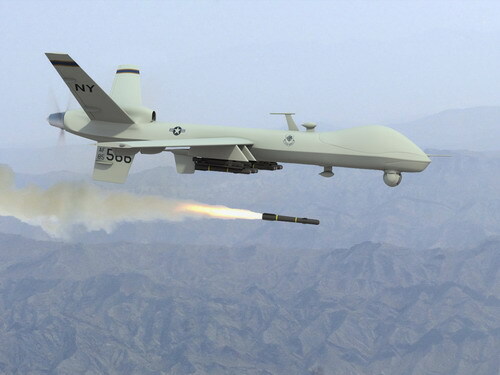 SANAA, Yemen (AP) — Three al Qaeda militants were killed in a suspected U.S. drone strike in southern Yemen, Yemeni security officials said, the fourth such attack this week and a sign attacks from unmanned aircraft are on the upswing in the country. The officials said the three men were hit as they were riding in a Land Cruiser in el-Manaseh village on the outskirts of Radda in Bayda province. Dozens of local al Qaeda-linked fighters protested the drone strikes after traditional Islamic Friday prayers.